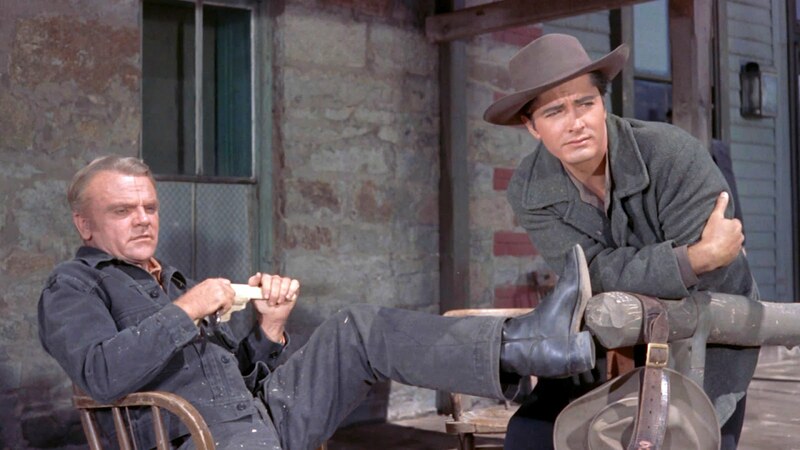 Following on the heels of Nicholas Ray's notable Western Johnny Guitar (1954) and released just before his most famous film, Rebel Without a Cause (1955), Ray's other Western, Run for Cover, fits rather nicely between the two from a historical perspective, refining some of the tangential themes of Johnny Guitar (including the growing influence of McCarthyism) while also serving as a transition to the "troubled youth" subject matter explored in Rebel. 2012 has been hectic for me. Us, I should say. Last month, my wife finally fulfilled a long-time dream to open her own dessert venue, Sweet Dee's Bakeshop, and business is booming. I've been doing my best to keep up with this blog, my Twitter feed, her business's Twitter feed and Facebook account, as well as Sweet Dee's new blog (starting next month). Aside from that, with her time being taken up by all the responsibilities a start-up entails, I've had to step it up in terms of caring for our two young children. Busy. The cinema stops for no one, though. 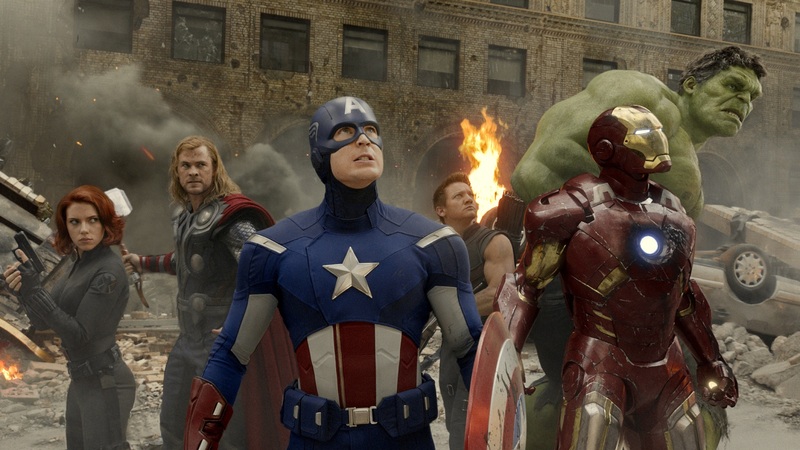 In theatres, summer arrived with the box office records smashed by The Avengers, which I wrote about a few weeks ago. It's one of only a fraction of the amount of films I usually write about here. It doesn't mean I haven't been keeping up with this year's films. (Well, maybe less so with indie or foreign movies because of how difficult it is to get to the local art houses in my few spare moments.) I've just been choosy with what I decide to write about. But with the two kids going to summer camp full-time next month, and my wife and I settling into a kind of groove with the new shop, I hope to see the pace pick up on this blog for the rest of the year. Consider this (and maybe one more follow-up) a post in which I catch up and jot down some thoughts on some of these other films I wasn't too moved to write about immediately. This post is a considerable reworking of a piece I posted on 3/20/09. It's also a contribution to For the Love of Film: The Film Preservation Blogathon III being led by Marilyn Ferdinand of Ferdy on Films, the Self-Styled Siren, Farran Smith Nehme, and Roderick Heath of This Island Rod. For movie-watchers with an analytical bent, Alfred Hitchcock provides a wealth of material to dissect. Rear Window is a great example. 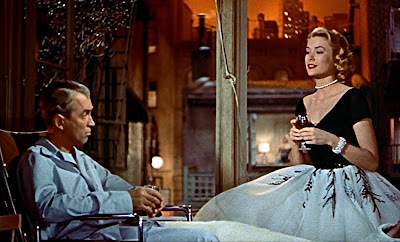 Much of the analysis focusing on Rear Window highlights the most immediately apparent of the film's metaphors, that of L.B. Jefferies (James Stewart) as audience surrogate while the different dramas playing out in each window of his apartment's courtyard serve as his personal movie theater. Laid up with a broken leg, the convalescing photo-journalist—bored with routine visits by his socialite girlfriend Lisa Fremont (Grace Kelly) and home care aide Stella (Thelma Ritter)—turns to his window for entertainment. But the movie's titular rear window isn't just a proscenium allowing Jefferies to play peeping tom. Each of the courtyard's individual apartments are a physical manifestation of Jefferies' fears of seriously committing to Fremont. It's ironic that Tim Burton—whose expressionism-by-way-of-acid-tinged Batman was the forerunner of the modern superhero film—has a new film getting trounced in the box office by The Avengers, the ultimate example of the very kind of genre he helped to usher in at the start of his career. And that this film is Dark Shadows, not only a property with a fervent cult audience but probably the most satisfying effort from Burton in quite a long time. Based on the Gothic soap which ran on ABC from 1966-1971, Dark Shadows is the apotheosis of Burton's artistic concerns, perfectly fusing his love of all things dark and creepy with his off-kilter family dynamics in a way only glimpsed at in previous efforts like Beetlejuice, Edward Scissorhands and most precisely (but all too briefly) in his 1984 short, Frankenweenie. In films like Sweeney Todd, Burton gets the sense of dark foreboding right, but misses that infectious feeling of benign wonder which his other movies are bursting with. And most of the rest of his oeuvre, though exuberant in its ability to astonish with imaginative production design and fanciful style, doesn't quite get that Hammer horror feel of movies like Sleepy Hollow. Perhaps Dark Shadows succeeds because, by Burton's own admission, it was a formative influence. I must confess that I'm not well versed in the work of Leo Tolstoy. But in reading up on some background for this review, I was surprised to discover that the eponymous novella on which The Kreutzer Sonata is based has been filmed almost half as many times as there have been 007 movies. The tale centers on the mounting jealousy of a husband who suspects his pianist wife may be cheating on him with a violinist she's gotten to know as the two rehearse Beethoven's Sonata No. 9. This go-round, the modernized adaptation is helmed by a director I've always had a sneaking admiration for, Bernard Rose (Immortal Beloved). Captain America. The Incredible Hulk. The Invincible Iron Man. The Mighty Thor. As a kid, I remember watching Jack Kirby and Stan Lee's angst-ridden superheroes, then not much more than a dozen years old, on an umbrella cartoon (because of its limited motion, you couldn't really call it animated) series called The Marvel Super Heroes. Though it was rewarding enough to watch these heroes' early stories play out onscreen, for most viewers, one of the coolest parts of the show was when some other super character would pop in to the storyline unexpectedly, a crossover. Hawkeye, Black Widow, Quicksilver, the Scarlet Witch and many others would rear their head, and one imagined that the Marvel Universe was an expansive setting in which anyone could be the recipient of a metahuman power infusion. What works on the comic page, or on children's cartoons, doesn't always work on the big screen, however. Marvel has spent a lot of creative and monetary capital on establishing their individual superhero stars as the most special and most powerful characters in their respective franchises. 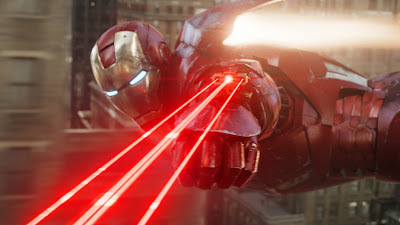 Iron Man 2, the weakest link of the interlocking series of films that preceded Marvel's newest release, fails mostly because its star is eclipsed by what feels like an interminable succession of characters with powers as unique as his (or in the case of War Machine, nearly exactly the same as his). In a world with gadget-laden assassin Black Widow (Scarlett Johansson), the electric-tentacled Whiplash or even the crafty superspy Nick Fury (Samuel L. Jackson), what makes Tony Stark's Iron Man (Robert Downey, Jr.) so special? As anticipation built for The Avengers, a culmination of Marvel's dream to unite its most recent moneymaking franchises, the film critic in me was going in with a skeptical eye. 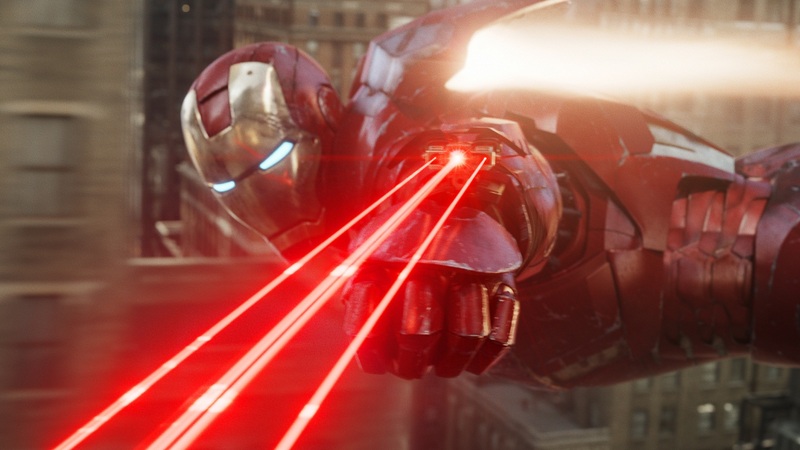 One of the most unexpected pleasures of some of the recent crop of superhero blockbusters is how adjustments to period and setting have freshened up what was fast becoming a moribund subgenre. Nearly half of Thor takes place in the mythological Norse realm of Asgard. 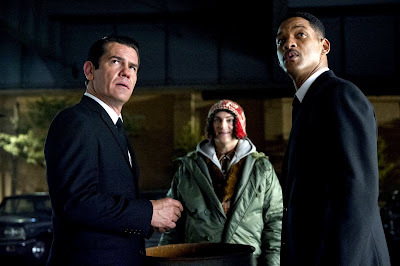 X-Men: First Class isn’t just set in the 1960s; it takes place in a jet-set imaginary '60s right out of the 007 films. The backdrop for Joe Johnston's Captain America: The First Avenger is an art-deco-by-way-of-steampunk version of the '40s not seen onscreen since Johnston's last superhero film, The Rocketeer (1991). Such application of period and locale legitimizes what for many is an inherently childish class of film. (Personally, I prefer to think of superhero films as escapist but, nonetheless, my kneejerk stance when discussing one is to come out of the gate defending it.) This affords the filmmakers the ability to attract a higher caliber of actors or technicians while generally making it a tougher sell to general audiences. (2005's noir-ish Sin City, based on a graphic novel series, comes to mind.) What it also does, though, is allow the knowledgeable helmer (such as journeyman Johnston) to have some fun with cinematic conventions, and not just the comic book in-jokes that have become de rigueur in these films.